Effective risk management also involves having clear roles for audit and risk committees. 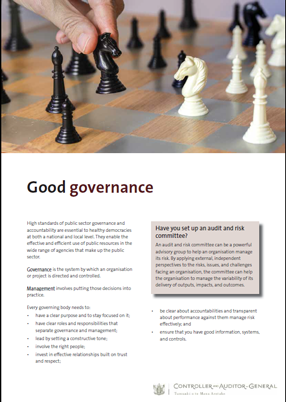 An audit and risk committee can be a powerful advisory group to help an organisation manage its risk. By applying external, independent perspectives to the risks, issues, and challenges facing an organisation, the committee can help the organisation to manage the variability of its delivery of outputs, impacts, and outcomes. We have more information about audit committees here. Interested in public sector governance roles?